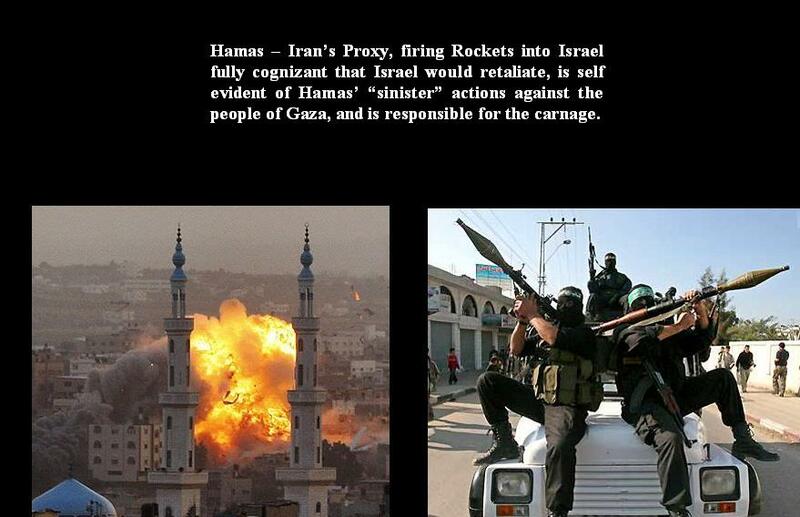 Hamas launching Rockets into Israel; defies logic and is responsible for the carnage in Gaza! Common sense must replace arrogance; the future must usurp the past; acceptance must trump tolerance; forgiveness has to supersede retribution, if anything good is going to come out of the “madness” in the Middle-East! There isn’t a Country in the Middle East than can win a War against Israel and with that being fact, to what end is Hamas’ Madness? If Hamas truly cared about the plight of the Palestinians in Gaza rather than being a “Proxy” for Iran, that would be a more positive step in the right direction. There is a massive window of opportunity than can be vetted and utilized to bring about a lasting solution for both the Palestinians and the Israelis and the region as a whole. The Arab Spring brought about the removal of Egypt’s nightmare, Hosni Mubarak, but ushered in Mohammed Morsi, someone whom I truly believe has the Palestinians interest at heart. However, Mr. Morsi is walking a fine line because the Moslem Brother-Hood has had a questionable image, whether such judgment is wrong or right. Egypt needs America’s foreign aid and to that end, Mr. Morsi is going to have to be the “honest broker” that wouldn’t only help the Palestinian issue, but can bring about tremendous economic changes and remove Egypt from the deep and unforgiving waters that Mr. Mubarak allowed it to fall into. The extreme side of the Moslem Brother-Hood is going to have to assist Mr. Morsi in a positive manner, setting aside all of the firebrand language, same as what is permeated by the Republicans in America. Egypt, who has accepted “hand-outs,” can move to become a viable and self sustainable financial productive power, and truly live out the greatness and might that Egypt was, a millennium plus, years ago. People of all races and religions are going to have to go beyond just tolerance and delve into “acceptance,” if any good is going to come out of a region, whose people have truly suffered. Follow me on Twitter – over 300,000 followers!